This flower border is so versatile, you'll find yourself reaching for this punch again and again. 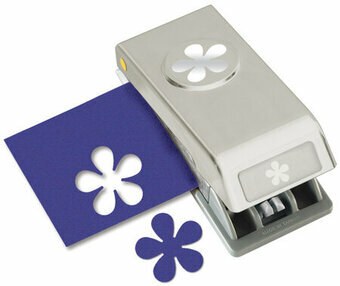 The Abstract Flower Edger Punch from EK Tools can be used for cards, gift wrap, scrapbooking and more. Create seamless borders of any length-just use the template on the base of the punch to line up the punched images. Locks shut for stackable storage. Punched image size: 1.9" x 0.51". Here it is! 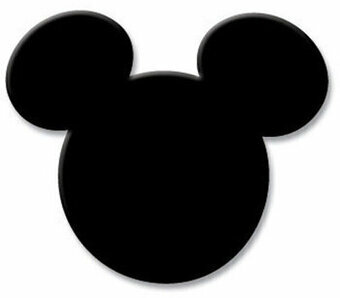 A medium-sized Mickey Mouse ears punch for adding that extra touch of Disney! Punches approximate 1 inch Mickey Head. The Flourish Large Square Punch from EK Tools can create an elegant accent for your cards and other paper crafting projects. Perfect for spotlighting elements. Add a string loop for a special holiday ornament! Punch locks shut for stacking and storage. Punched image size: 2" x 2". Add a fun embellishment to your cards and decorations or just make confetti for your table with the EK Tools Heart and Star Mini Punch Set. Punches lock shut for storage. Punched image size: 5/8" each, set of 2. Create perfectly rounded corners on cards, scrapbook pages, photos mats and more with this Mini Corner Rounder punch set from EK Tools. These easy to use punches feature a paper guide so you know you are aligned correctly and the compact design locks shut for storage. Set of 2 punches, 1/2" and 1" radius corners. This Scalloped Scallop Edger Punch from EK Tools creates a dainty border for your cards, gift wrap and scrapbook pages. Create seamless borders of any length-just use the template on the base of the punch to line up the punched images. Locks shut for stackable storage. Punch image size: 1.9" x 0.18". 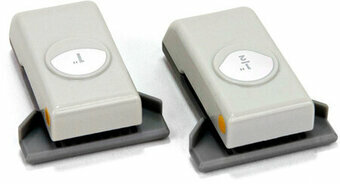 EK Tool punches are perfect for creating graduating shapes for decorations, scrapbooks, cards, and any paper project. 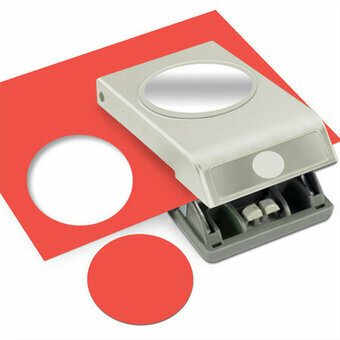 This 1/4 inch circle punch creates a precise basic shape with ease. Compact design locks shut for stackable storage. This paper punch size is 0.25 inches. This large paper craft punch from EK Tools is s fun way to spruce up your cards, scrapbook pages and projects. The Cactus Large Punch from EK Tools would be great for projects with a Southwestern style. This 2 1/2" Circle Punch from EK Tools is great for cards, tags and many other paper crafting projects. Use in combination with other sizes of circles for a nested look. Punch locks shut for stacking and storage. Punched image size: 2.5" diameter. The EK Tools Heavy Duty Vertical Slot Punch will punch through tougher materials including cardstock, chipboard, light weight metal, leather and foam. This punch creates a 3/8" x 1/8" slot. Features include: Strong cast metal body that won't bend under pressure, Ability to punch upside down for more accurate punch placement, Locking mechanism that keeps handles together when not in use for hanging and easy storage. These punches create gorgeous border art! The Edge Punches are easy to use and lock closed for simple and safe storage. Constructed of steel and plastic.